Qaddafi has ruled Libya for 41 years and he refuses to leave. Many protesters have joined an army of rebels. Qaddafi’s troops and warplanes have attacked the rebels and others who lived in cities where rebels have taken control. Now governments around the world agreed to help defend Libya’s rebels against Qaddafi. The United Nations created a NO-FLY zone over Libya. They hope that would stop Qaddafi’s attacks from the air. The U.N member countries including the U.S may attack Qaddafi’s planes to prevent them from bombing rebel cities. A few weeks ago warplanes from France and the United Kingdom struck Qaddafi’s military bases in the east and west. U.S warships and submarines fired more than 100 missiles at Libyan government targets. The U.S President Barrack Obama stressed that the U.S has not declared war on Libya. The U.S will support the militaries of other countries in the fight against Qaddafi’s forces. Missiles and much more America’s firepower will be loaned to other governments ready to help protect Libya’s people. Thousands are fleeing the country to escape the violence. The U.S has warned Qaddafi that bruce force will not be tolerated. 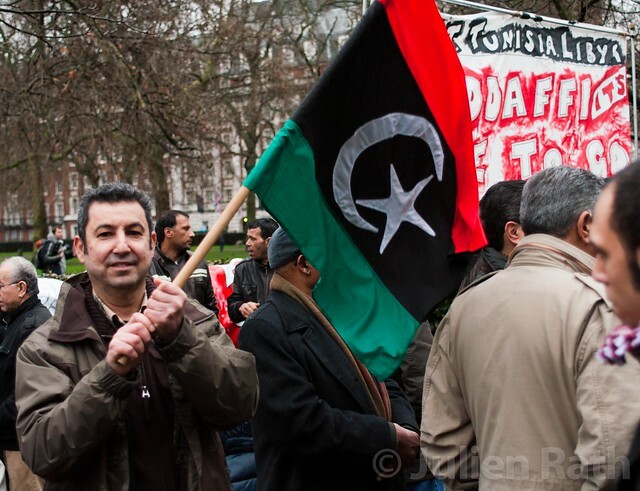 Members of Libya’s governments refused to harm their citizens so they joined the protests.